Not sure if this is intended. Look at the picture, every wire and bridge and joint plate will decrease decor, except "conductive wire". 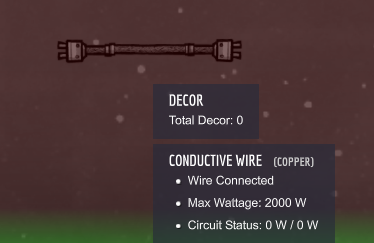 Try building a conductive wire => read the description of the info box that pops up next to the building menu - that's intended behavior. Depends on the material you used to make it. 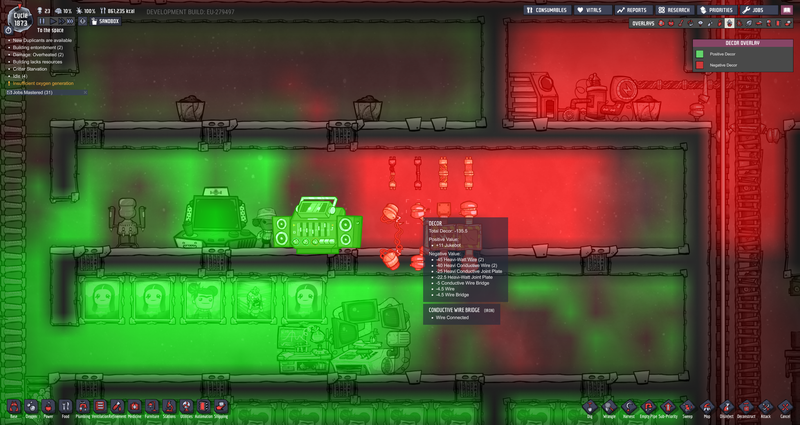 As you can see, iron provides no decor bonus. 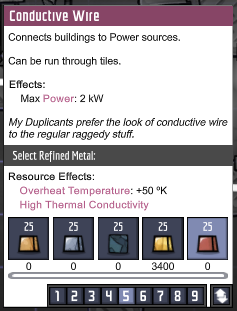 However, going off of the item description (Dupes prefer looking at them), and no base decor value, I think this building was intended to be a decor neutral wire. 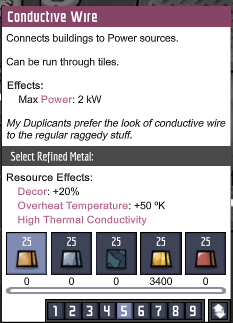 Edit: As you can see, materials like copper have a decor bonus. 20% of Zero is still Zero. Intended Can't you read the description?